Candace, Scott and I braved the schizophrenic weather yesterday afternoon for their long-awaited and often rained out engagement session! It was so worth it. Not only are they awesome in front of the camera, but they are awesome with each other. 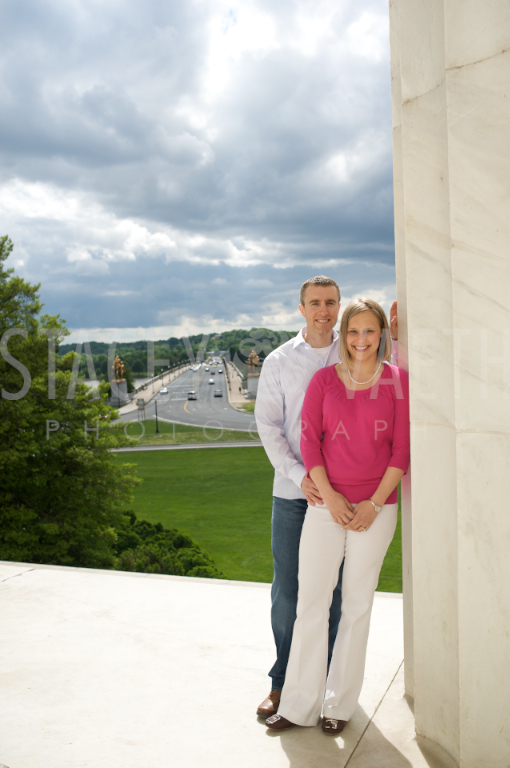 They were so cute during the shoot, that about a hundred 8th graders touring the monuments were cheering them on – oohing and ahhing and shouting “congratulations!”. and as they’re walking back to me, a man in a cowboy hat walks up. He’s with our 8th grade fan club. A white horse. A man in a cowboy hat. That lawn. Could it get more dramatic than that? Many congratulations Candace and Scott!